The robust refrigeration system is powered by PHC engineered compressors. 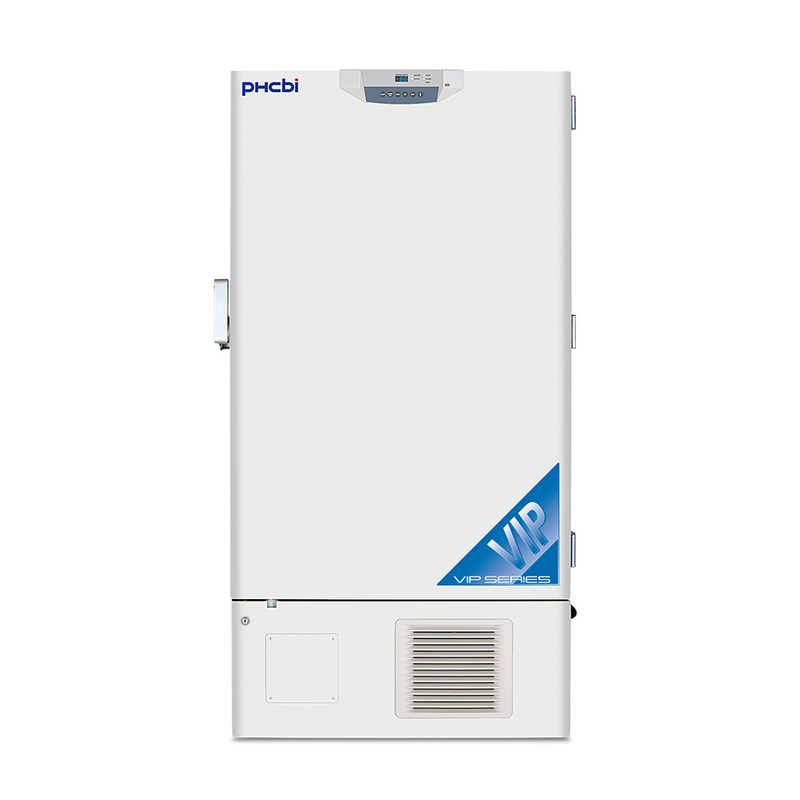 The system provides dependable cooling by balancing temperature performance and energy management. 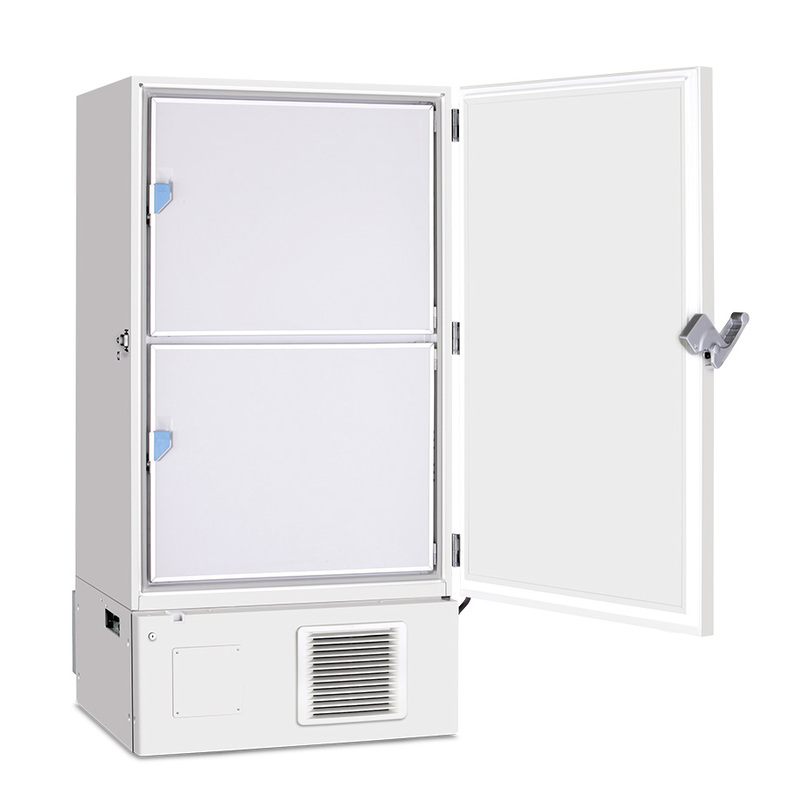 Reserve refrigeration power assures exceptional temperature recovery following door openings. 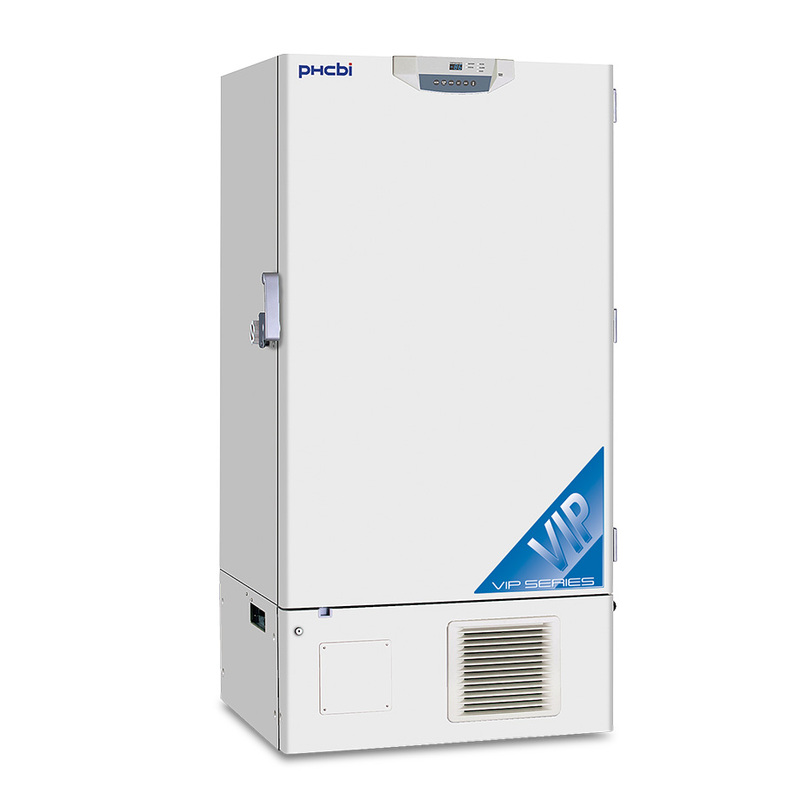 VIP® freezers have demonstrated >99% reliability with excellent performance history. 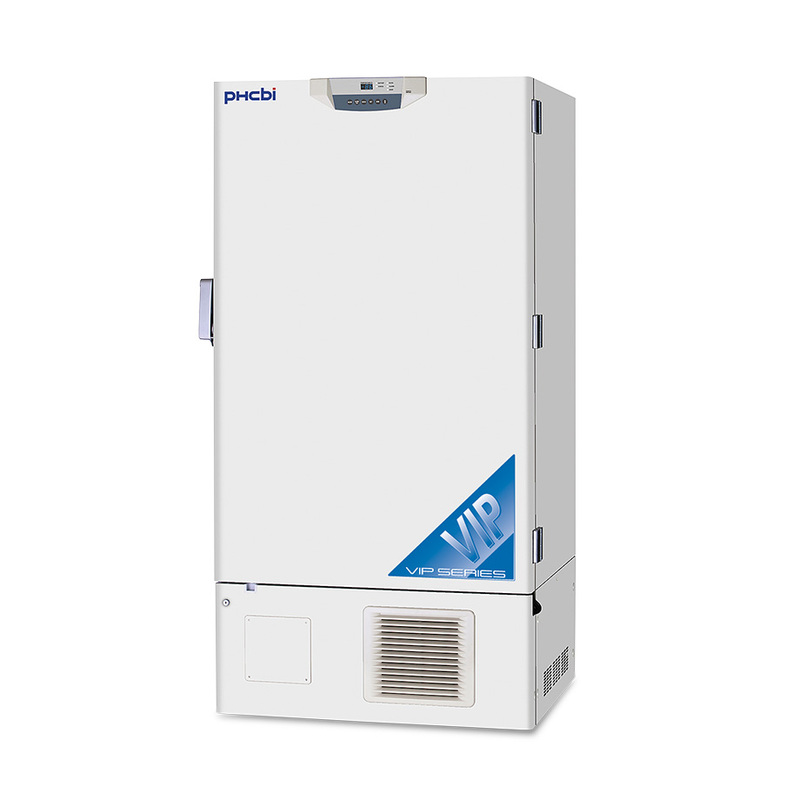 The combination of patented VIP Plus vacuum insulation panels with PHC designed compressors, specific to ultra-low temperature applications, assures superior uniformity (+/-5°C) throughout the cabinet to maintain the integrity of the samples. 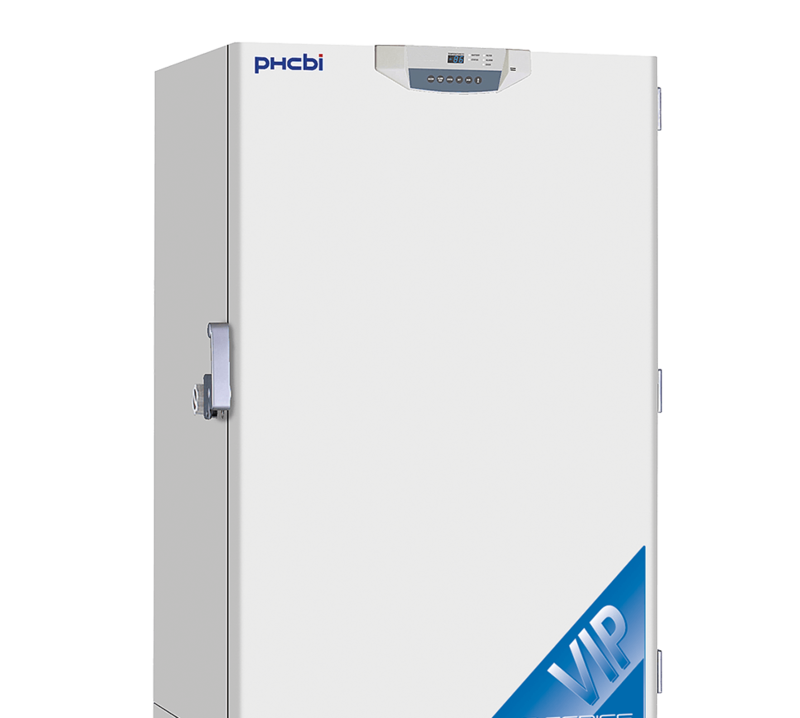 The patented VIP Plus insulation composite maximizes storage space in VIP Series freezers. 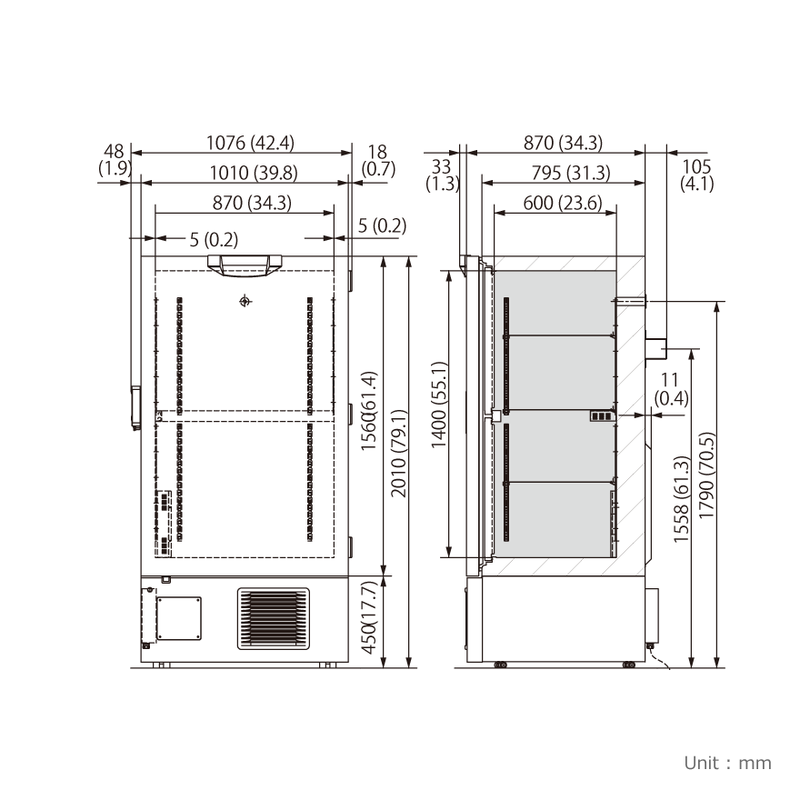 Store up to 576 2" boxes or 384 3" boxes within an efficient 9.48 ft2 (0.88 m2) footprint. 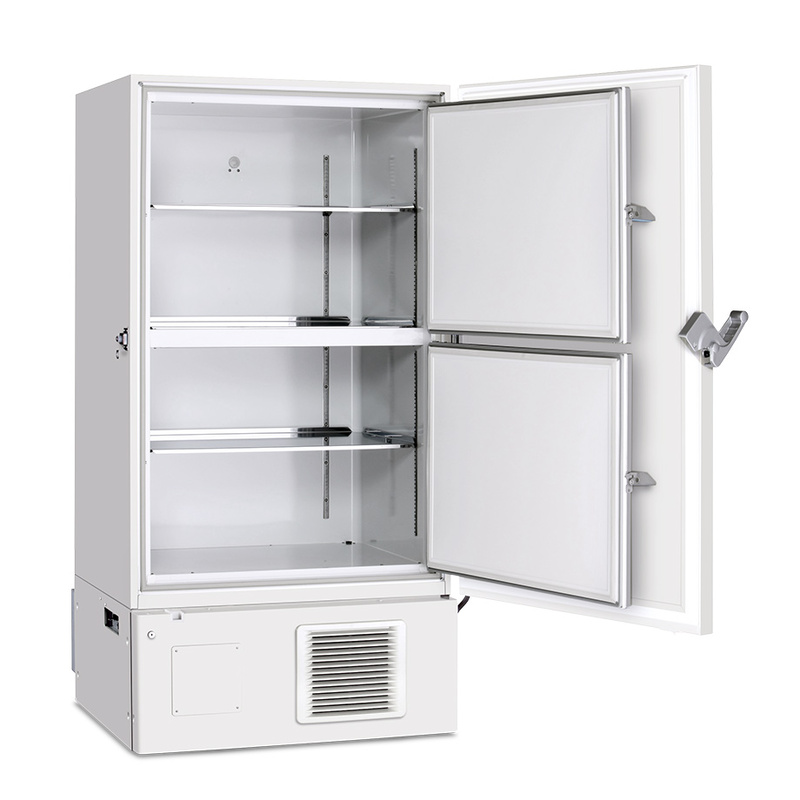 The MDF-U76VC-PA Ultra-Low Temperature Freezer provides excellent performance reliability, VIP Plus insulation to improve temperature uniformity, and maximum storage with a minimal footprint.